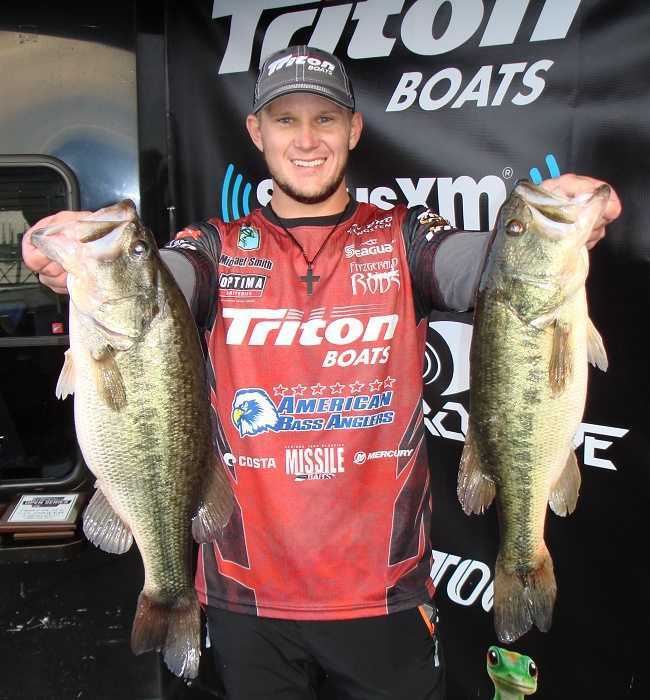 ATHENS, Ala. – Josh Stracner of Vandiver, AL won the Bass Pro Shops Open Series Alabama South Division tournament, held March 2nd on Lay Lake. Running out of Beeswax Creek Park in Columbiana, AL Stracner caught five bass weighing 22.34-pounds. For the Boater Division victory, Stracner took home a check for $5000 for his win, $7000 for Triton Gold, and $1000 for Mercury Contingency money. 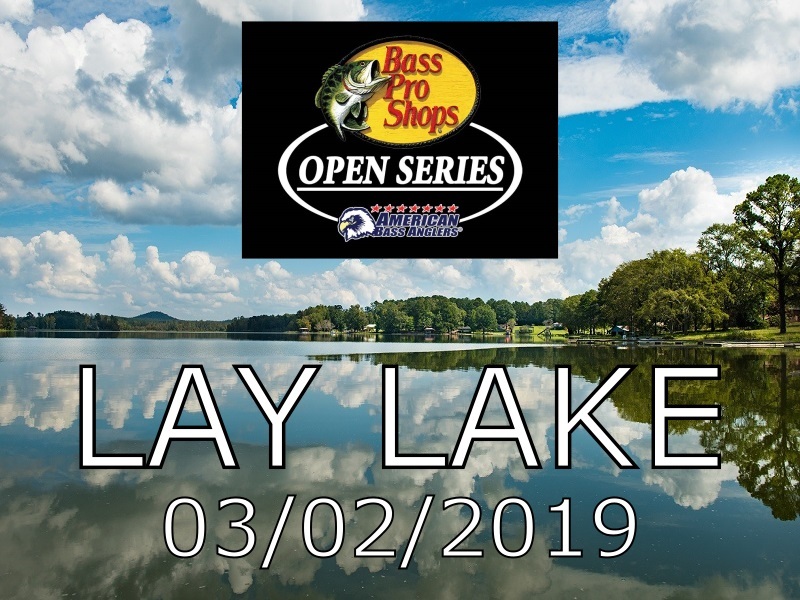 ATHENS, Ala. – The Alabama South Division of the 2019 Bass Pro Shops Open Series presented by American Bass Anglers will host the second event of the season on March 2, 2019, on Lay Lake in Columbiana, AL. The competitors will launch at Beeswax Creek Ramp, located at 245 Beeswax Creek Road, Columbiana, AL, 35051. Anglers may begin fishing at 6:00 a.m. or safe light. The weigh-in will begin at 2:30 p.m. Registration begins at 4 p.m. local time at Beeswax Creek Park with the tournament briefing to begin at 7:00 p.m. Friday evening. 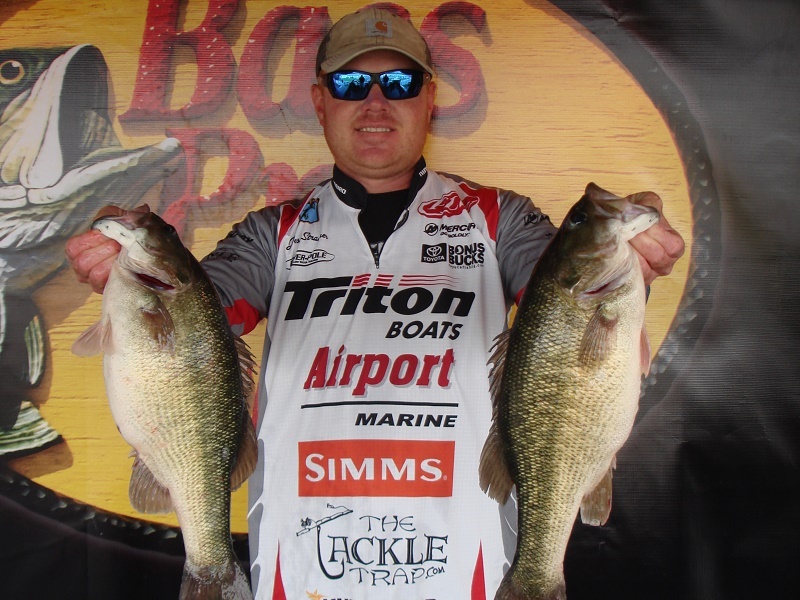 ATHENS, Ala. – The Alabama South Division of the 2019 Bass Pro Shops Open Series presented by American Bass Anglers will open the season on February 2, 2019, on Lake Eufaula in Eufaula, AL. 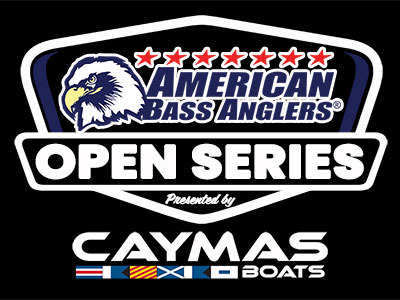 The ABA Open Series Georgia Division and Alabama South Division will hold their final event of the 2018 season on September 8th-9th, 2018 on Lake Eufaula. 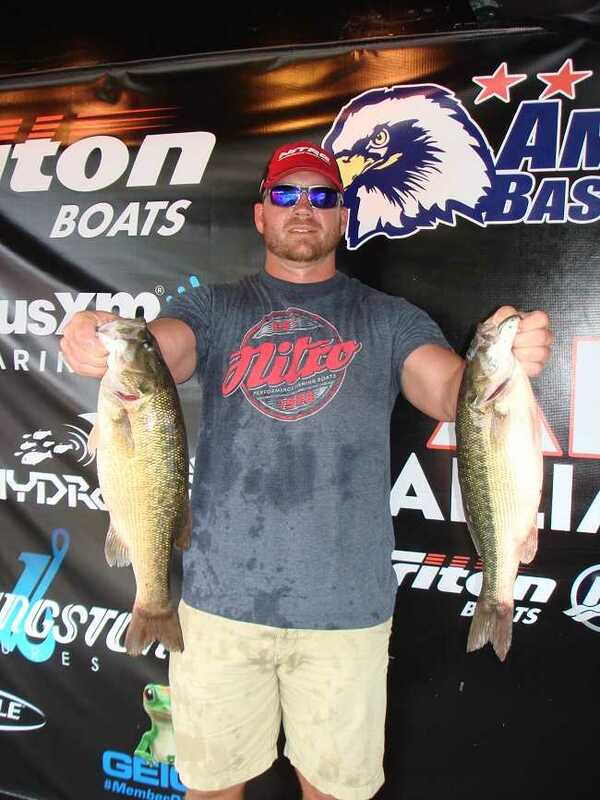 ATHENS, Ala. – Kyle Dorsett of Odenville, Al won the American Bass Open Series Alabama South Division tournament, held June 16TH on Logan Martin. 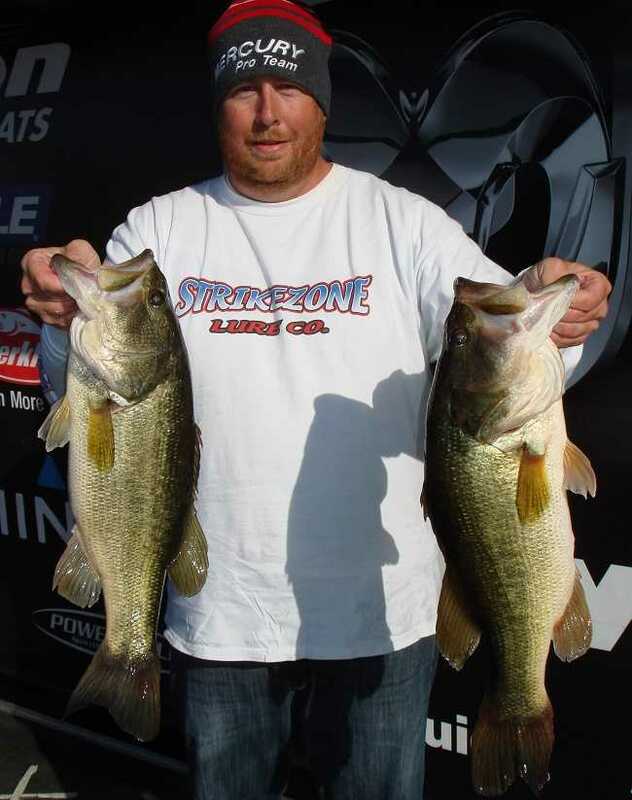 Running out of Pell City Park in Pell City, AL Kyle caught five-bass weighing 15.29 pounds. For the Boater Division victory, he took home a check for $5000 for his win. ATHENS, Ala. – The Alabama South Division of the ABA Open Series will host the fourth event of the 2018 season June 16, 2018, on Logan Martin in Pell City, AL. 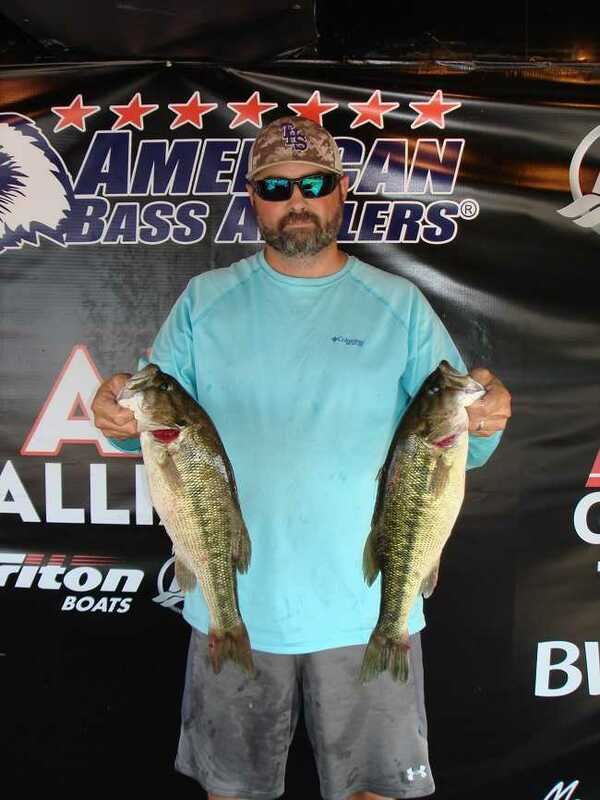 ATHENS, Ala. – Dallas Weldon of Tallassee, AL won the American Bass Open Series Alabama South Division tournament, held May 19TH on Lake Jordan. 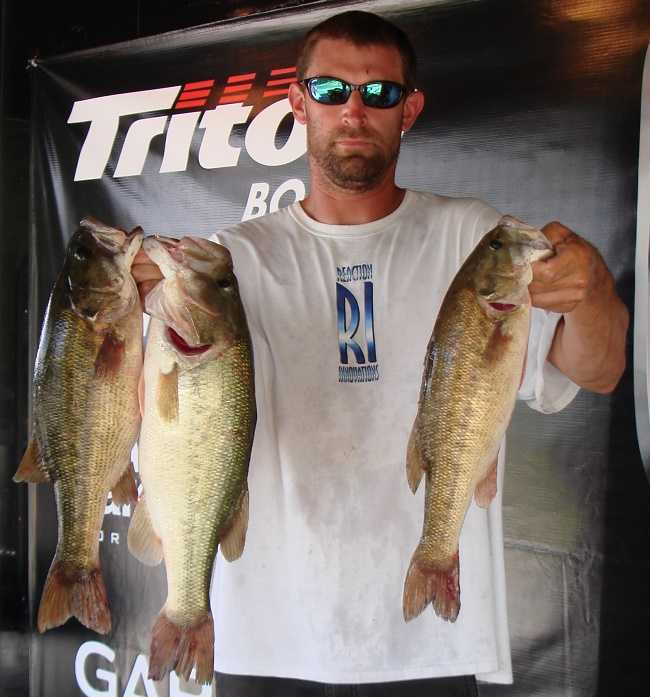 Running out of Bonners Landing in Wetumpka, AL Dallas caught five bass weighing 17.62 pounds. For the Boater Division victory, he took home a check for $5000. ATHENS, Ala. – The Alabama South Division of the ABA Open Series will host the third event of the 2018 season May 19, 2018, on Lake Jordan in Wetumpka, AL. 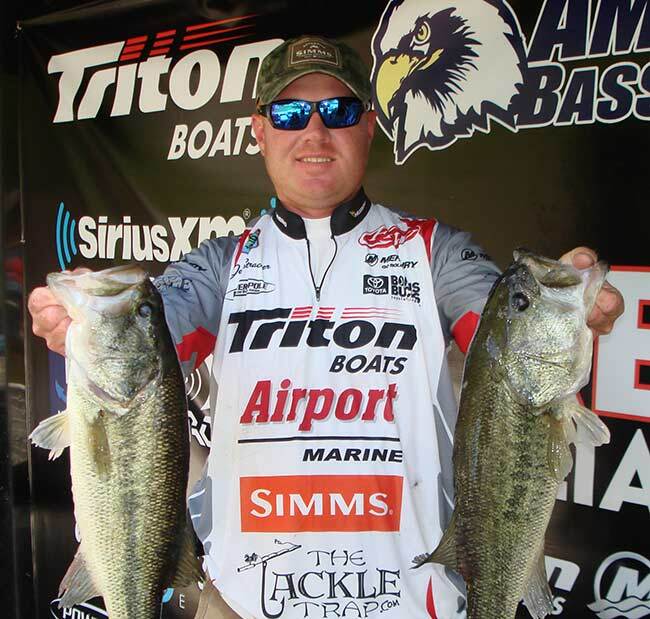 ATHENS, Ala. – Josh Stracner won the American Bass Anglers Open Series Alabama South tournament, held April 21, 2019 on Lake Martin. Running out of Wind Creek State Park in Alexander City, AL the Vandiver, AL angler caught five bass weighing 16.91 pounds anchored by a 4.21-pound kicker. For the Boater Division victory, took home a check for $5000 for his win and an additional $7000* for Triton Gold. ATHENS, Ala. – The Alabama South Division of the ABA Open Series will host the second event of the 2018 season April 21, 2018, on Lake Martin in Alexander City, AL. The competitors will launch at Wind Creek State Park, located at 4325 Alabama Hwy 128, Alexander City, AL, 35010. Anglers may begin fishing at 6:00a.m. or safe light. The weigh-in will begin at 2:30p.m. Registration begins at 4 p.m. local time at Wind Creek State Park with the tournament briefing to begin at 7:00 p.m. Friday evening. Bo Hunter won the American Bass Anglers Ram Truck Open Series Georgia Division tournament, held June 24th on Logan Martin. 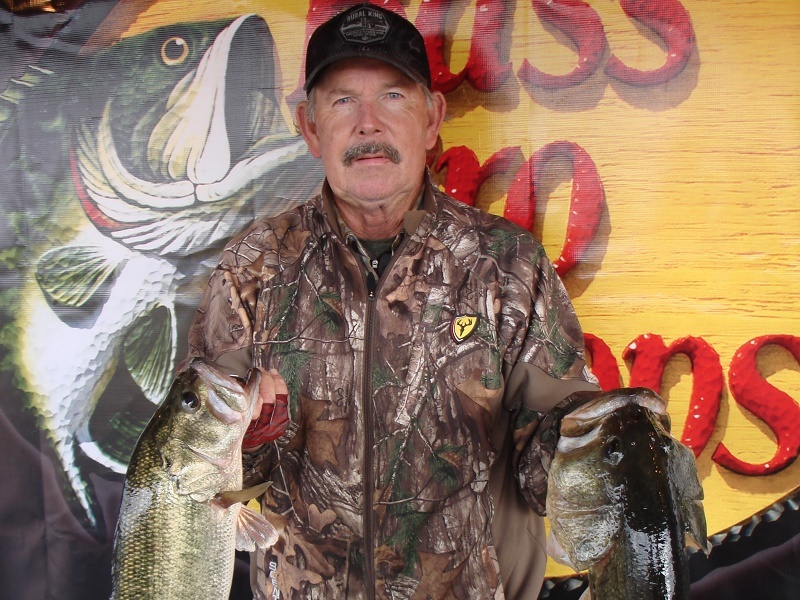 Running out of Lakeside Park in Pell City, Bo caught five bass weighing 17.62 pounds. For the Boater Division victory, Hunter took home a check for $5000. ATHENS, Ala. – The Alabama South Division of the Ram Truck Open Series will host the fourth event of the 2017 season June 24, 2017, on Logan Martin in Pell City, AL.